I’ll just get up and go! Ride the wind! Stand the storm! There ain’t no place to hide! Ride the wind! Stand the storm! We cannot be denied! In Truth we shall be free! But we’re gonna tear “your terror” down and make the deserts bloom! Yeah, that’s what we assume! We cannot live locked in the past… The winter can’t stop spring! So let us join our hearts in hope… Let’s hear those voices ring! Yeah, let’s hear those voices sing! 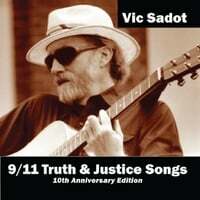 Released on “9/11 Truth & Justice Songs – 10th Anniversary Edition” CD on 9/11/11. Now available on CD Baby!